Thank you to our sponsors for their ongoing generous support! LexPhil’s Peanut Butter & Jelly Concerts are the perfect first-concert experience for your little listeners! 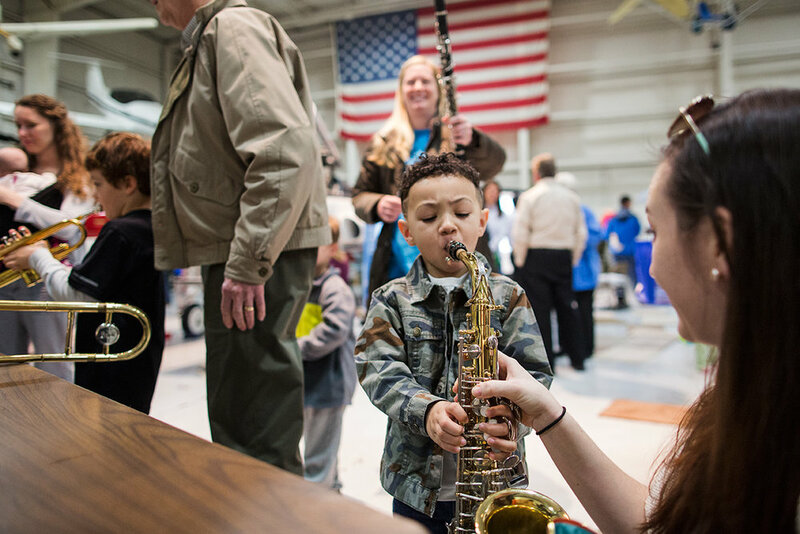 Join LexPhil Saturday mornings for an engaging half-hour concert, followed by time for play and discovery at the Instrument Petting Zoo, and of course, PB&J sandwiches. Tickets are $5 each, or subscribe to all four for only $16! New this year, LexPhil will also offer two FREE PB&J Concerts! Scroll down for more information. Music Builds Math! will begin at 10:00 AM. The program will be repeated approximately every thirty minutes, with the last program beginning around 11:30 AM. Music Builds Math! will be one of many activities available at the Living Arts and Science Center’s Discovery Saturday. Admission to Discovery Saturday is free at the door; capacity is determined by LASC. Please be advised: Music Builds Math! is an interactive percussion program, so as fun increases, the sound level likely will too! The 2:00 PM PB&J concert previously scheduled at Josephine Sculpture Park has been cancelled. The 10:00 and 11:00 concerts at the Loudon House are unaffected by this cancellation and will go on as planned. Please contact LexPhil at (859) 233-4226 or tickets@lexphil.org if you have any questions. ALLERGY NOTICE: Peanut Butter is served at all LexPhil Peanut Butter & Jelly Concerts.